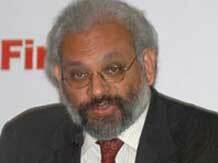 Subir Gokarn: A national agenda - hopefully! Frankly, I think we spend too much time and effort analysing the numbers presented by the interim Budget. At its core, the process simply involves obtaining parliamentary approval for the government to continue spending money on activities that are ongoing - from the routine to the priority and flagship programmes of the incumbent government. Neither the allocations to various expenditure heads nor the revenue projections are meaningful, even if the same government were to come back into office. Nothing prevents them from changing direct tax rates in the final Budget for the year, which will be presented a few months down the road. Nor, for that matter, are they bound to the allocations that were made in this Budget. These considerations will become even more significant should the final Budget be presented by a different party or coalition. Nevertheless, there are some aspects of the Budget, particularly the finance minister's speech, that need to be viewed not from a narrow, partisan perspective but through a wider lens based on national interest. Once we get away from the "who is responsible" approach to the current economic situation, there is, I believe, a broad consensus on what the problems are and, importantly, on what the solutions are. At the core of a decisive policy response to the stressed economic situation are a number of elements that any party or coalition must embrace, no matter who they are. Several of these elements were laid out in the 10 "vision for the future" points in the speech, many of them interlinked but all critical. Let me comment on some of these. Fiscal consolidation, infrastructure and subsidies: Three challenges must be addressed. First, the goods and services tax (GST) must be introduced, making every effort to cross the legislative hurdles associated with a constitutional amendment. The Indian economy must become a genuine common market as soon as possible. The gains from this will not only be higher revenues through self-enforcement; there will be significant productivity improvements over time as producers make location decisions on genuine cost considerations rather than tax burdens. Second, the government must find a fix for the public-private partnership model of infrastructure development, which is mostly broken, because both sides of the partnership couldn't live up to the requirements of the game. This will almost certainly mean that the government needs to put more money into the pot, calling for a significant rebalancing of public expenditure from revenue to capital. Third, subsidies have to be capped legally, preventing them from remaining a tempting populist instrument for a government under pressure. Price stability and growth: A message appeared to be sent to the Reserve Bank of India, indicating that its proposed transition to an inflation-targeting framework was not very welcome. This is presumably the beginning of a conversation on how to bring inflation down without hurting growth. The answer, quite simply, lies in another part of the speech. The government takes pride in the rate of growth of agricultural gross domestic product (GDP) being 4.6 per cent in the current year and over four per cent per year during the past five years. This is way above trend, suggesting that higher food production would result in softer food prices. But, in fact, the opposite has happened. How can accelerating agricultural production coexist with accelerating food inflation? Because too much of some food articles and too little of others are being produced! As long as this imbalance persists, food inflation will remain a problem, constraining the ability of monetary policy to support high growth with low inflation. Let the wrong message not be taken from the agriculture sector's performance. Current account deficit: Over the past few months, a combination of rising exports and falling imports - in particular, gold - has contributed to a sharp narrowing of the deficit and, consequently, the vulnerability of the rupee to external upheavals. This is a significant achievement in a short time, without question. But is it sustainable? The true measure of current account robustness is that we are exporting whatever we can produce competitively and not importing what we have in plenty at home. Sharp reductions in iron ore exports and increases in coal imports continue to exert pressure on the current account and there are no significant solutions in sight. The environmental and legal dimensions of the problems in the two sectors should not be underplayed, but surely there are governance structures within which these resources can be exploited without compromising the interests of some or all stakeholders. If this is not done, the responsibility for narrowing the deficit falls on a smaller proportion of cross-border transactions, increasing risks. I could go on, but space constrains. In sum, in the interim Budget speech, we have a clear outline for a national economic policy agenda, regardless of which party or coalition is entrusted with the responsibility of implementing it. In many ways, the current situation is a consequence of the inability to implement this agenda. And, regardless of who is at the helm after May 2014, there will be no revival of growth, moderation of inflation, fiscal consolidation and a reduction in external vulnerability if this is not done.